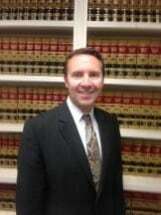 Mr. Michelena has spent his entire career representing the injured workers of California. He has served as a Judge Pro Tem for the Los Angeles Workers' Compensation Appeals Board. He served as an officer on the Board of Directors of the Los Angeles County Bar Association Workers' Compensation Section and has been a member and supported numerous organizations which fight for the rights of workers who have been injured in accidents, such as the Consumer Attorneys Association of Los Angeles and the California Applicants' Attorneys Association.